Parenting agreements (custody agreements) are those legal agreements regarding the legal and physical custodial arrangements pertaining to the children after a divorce or extended period of separation. While parents are almost always the the parties named in child custody agreements, grandparents, family members, or other guardians may have the right to seek child custody under certain and usually infrequent circumstances. Except in the rarest of cases, any agreements made between the parents will be reviewed and generally “rubber stamped” by the family court. Courts look favorably upon parents who are willing to come to their own agreements and are happy with those who would stay out of their court room! Joint physical custody (unbalanced). One parent is the primary custodial parent, the other is the secondary custodial parent (or non-custodial parent). The children will spend time living with each parent in accordance with some predefined schedule. Sole physical custody (unbalanced). One parent is the sole physical custodian and the child lives with that parent full-time. The other parent will have arranged a visitation schedule. In a “mildly contested” case, parents can develop parenting agreements with the aid of an outside facilitator. They may use a custody coach, a family law attorney, or private mediator for examples. These professionals may be privately hired or be a court approved family law professional. They will facilitate the negotiations of the parenting agreement between the parents in an effort to resolve any outstanding issues and avoid having to go to a family court hearing. If the parents are able to prepare a mutually acceptable child custody agreement, the court will almost always approve of the plan and make it an order. 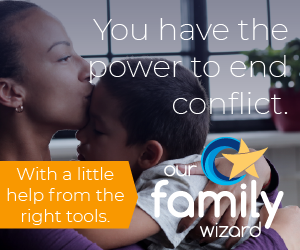 In high-conflict cases, family court custody hearings are almost unavoidable. The court will intervene and a judge will make the final determination as to the legal and physical custody arrangements regarding the children. Keep in mind, child custody agreements are rarely permanent and may be changed by the courts after initiation of a hearing on whatever new issues may have come to be.